Art is one of my favorite forms of expression. 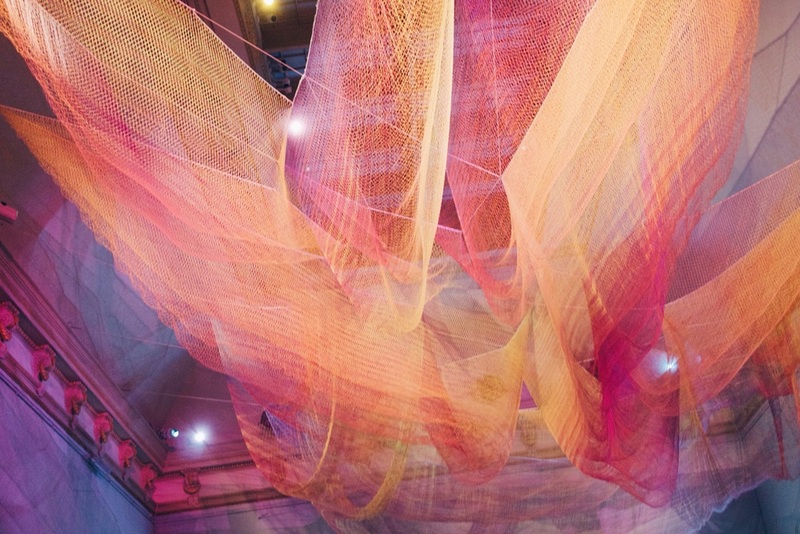 This past Saturday I went to Renwick Gallery. It is a contemporary art museum that is apart of the Smithsonian Museum, located across from the Eisenhower Executive Building near the White House! One thing of my favorite things about the museum is that it was interactive, encouraging, and emphasized expressing oneself through a multitude of mediums. There was an exhibit made of sticks to another made of sculptures to one with mesh and colors all while encouraging photography and interpretation. The exhibit was bright, creative, and colorful! It was about thinking and expanding yours thoughts on what you see and why. Some were easier to interpret and others were mesmerizing. Currently one of the exhibits is closed, so I look forward to going back when it opens on July 1! The last room we went into was an open space where you can lie down on the ground and look up at the ceiling with changing lights and colors. Personally, I thought it looked like a jelly fish moving in the ocean, changing and adapting to the world around it. However, that's one of the beauties of art and why I love it so much. Art has the ability to transform meaning amongst people from different cultures, languages, and places while impacting them in a multitude of ways! Location: 1661 Pennsylavania Ave NW, Washington D.C. 20006. Also, the enterance is free!